Health is wealth. This bodes true especially for factories where the productivity of their workers is a catalyst or a boon to the overall company’s financial stature. Pakistan is a country where there is a huge prevalence of typhoid and pneumonia during particular seasons during the year. These diseases can obligate workers to take leave and hence jeopardize the productivity levels of their respective companies. Sehat’s Corporate Vaccination services officially launched in October 2015 as an epitome of sound corporate hygienic solutions, modeled on the Home Vaccination Program started earlier in April of the same year. Sehat employs two trained nurses each in the cities of Lahore, Karachi, and Islamabad to provide home vaccination services. Both the Pakistan Factories Act 1934 and Punjab Factories Rules oblige factory owners to have their workers vaccinated from diseases to ensure maximum productivity. (1) Each worker in a factory shall be provided with a “Hygiene Card’ in which during the month of January and July every year entries shall be recorded after examination by appointed factory doctor to the effect that the worker is not suffering from any contagious or infectious disease. The fee of such an examination shall be fixed by the Provincial Government and will be borne by the occupier or manager of the factory. (2) If a worker is found to be suffering from any contagious or infectious disease on an examination under sub-section (1), he shall not be appointed on work till he is declared free of such a disease. Each worker in a factory shall be vaccinated and inoculated against such diseases and at such intervals as may be prescribed. The expenses, if any, of such vaccination and inoculation shall be borne by the occupier or manager of the factory. 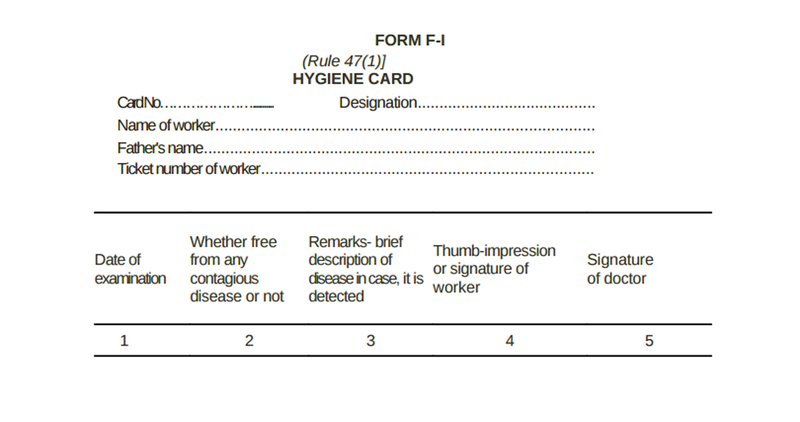 (1) Hygiene card under sub-section (1) of Section 23 of the Act shall be in Form ‘F-1’. 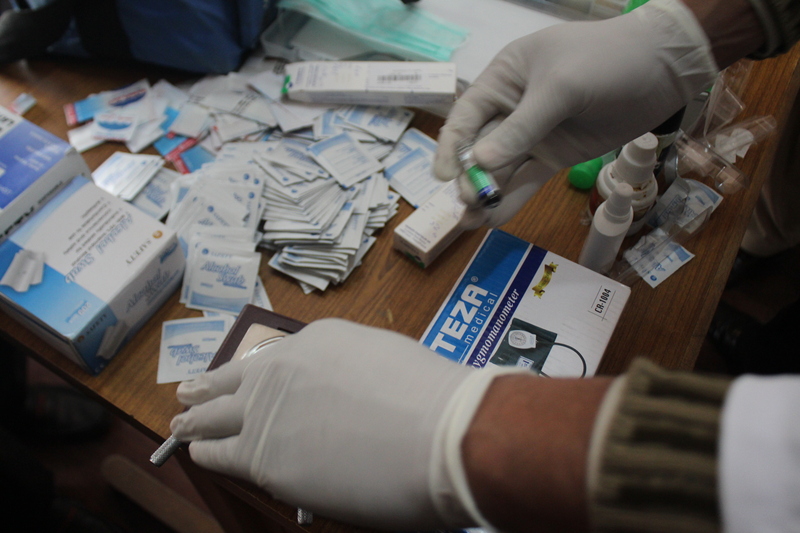 (2) Each worker in a factory shall be vaccinated and inoculated for cholera and for small-pox, typhoid, every year. (3) Such a vaccination shall be arranged by the Manager of the factory at his or the Occupier’s expense. I have read, or have had read to me, in language understandable to me, the above information. The content and meaning this information has been fully explained to me.